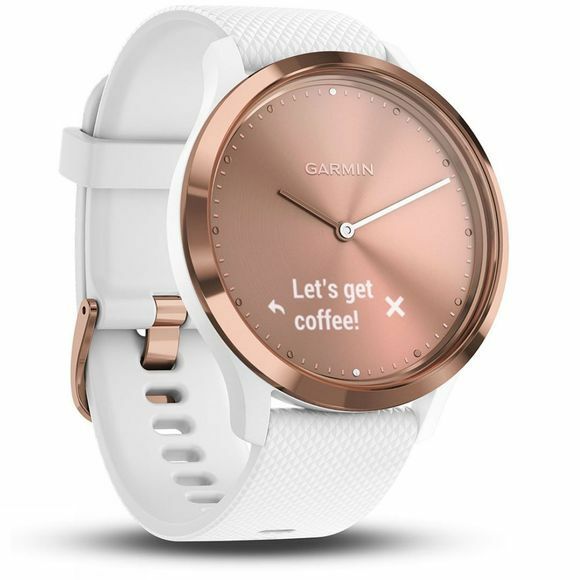 With Garmin's Vivomove HR Hybrid Smartwatch you get the best of both worlds: a stylish analogue watch for effortless everyday style and a durable smartwatch that will monitor activities, fitness & well being to help you beat yesterday and have a better tomorrow. The classic precision watch hands sit over a discreet touchscreen display, when you want to interact with the touchscreen display the hands will move out of the way and then move back to the correct time when you are done. 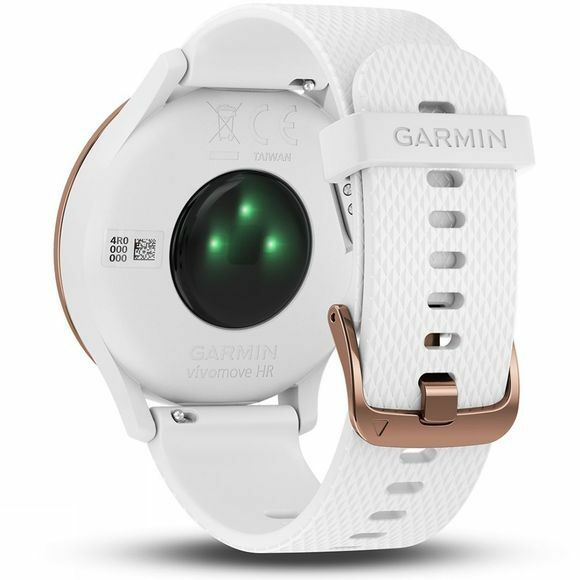 The sophisticated technology within the watch will monitor your daily activity including steps, distance, calories burned, floors climbed and so on, the wrist based heart rate monitor helps to deliver a more accurate insight into your fitness levels but is also able to monitor your general wellbeing and stress levels throughout the day. The Smart notifications mean you'll never miss another text or call as they'll display on your digital display while your fitness and wellness tracking data will be automatically uploaded to your Garmin Connect profile. You can even control your music from your watch making skipping tracks while on the move a breeze.